When the cold, shorter days set in, it can be hard to shake the blues. Don’t suffer alone this season. Help is available. 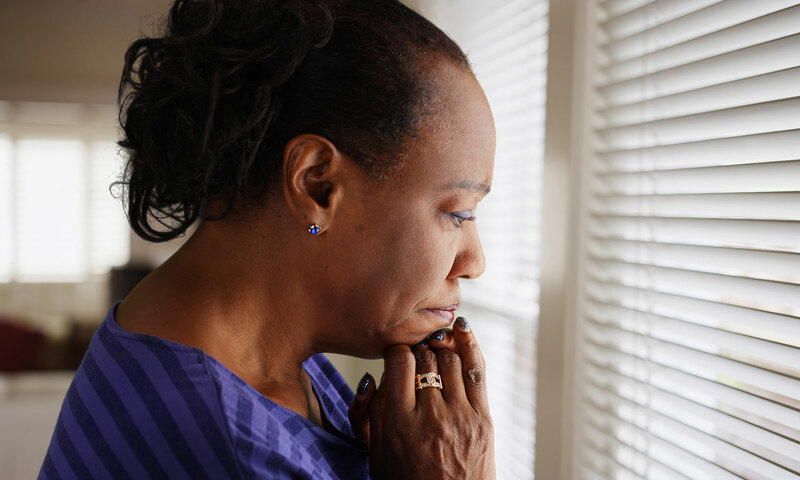 Seasonal affective disorder (SAD) is a type of depression that generally occurs during winter months, when days are shorter and colder and sunlight is scarce. Depressive episodes during the summer can occur but are much less common than episodes of SAD during winter. Approximately 6 percent of Americans, mostly in northern climates, suffer from mood changes brought on by a seasonal disorder, and another 14 percent deal with a more minor form of SAD, called winter blues. SAD is also diagnosed four times more often in women than in men. Medication. Selective Serotonin Reuptake Inhibitors (SSRIs) can be used to treat SAD. You may have to try several antidepressants to find one that helps with your symptoms. Talk with your doctor about the side effects and what may be right for you. Maintain regular sleep schedules. A sleep routine is important. Try to sleep the same amount each night, and get up at the same time each day. Seek sunlight. Get outdoors during daytime hours. Take a walk during your lunch break, or if possible, sneak a walk in after work before sunset. Eat a fresh and balanced diet. An imbalanced diet can affect how you feel. Eating raw fruits and vegetables is a healthy way to keep you feeling energized. Change the light bulbs in your house to full-spectrum. Look for bulbs that have a color temperature of 5000K or greater and a color-rendering index of 90 or more. Take a vitamin D3 supplement. Specifically, vitamin D3 is more easily absorbed, and a liquid form is even better. The recommended daily dose is 400 international units, but talk to your doctor about the correct dosage before taking any supplement. Light therapy is an efficient way to brighten up your life during the winter months. About 60 to 80 percent of people affected by SAD have seen improvement in their condition due to light therapy. It involves a lighting unit with white fluorescent lights behind a plastic screen that diffuses the light and filters out harmful ultraviolet rays. Doctors recommend spending 30 to 90 minutes in front of the light daily. Positive results should be seen within the first two to four days. For information about the mental and behavioral health services available at St. Vincent, visit stvincent.org/Services/Mental-and-Behavioral-Health.